Tesla and its electric cars may have kicked off the party, but other industries are quickly joining the revolution. For generations of humans, the internal combustion engine has been the go-to solution for many of our needs. We use them every day, to create electricity, work our farms, transport our products, and move us around the globe with relative ease. It has been a spectacularly successful technology, with decades of refinement bringing us the engines we have today. But as ubiquitous as they’ve become, the evidence is mounting that now is the time for their replacement by a cleaner, more efficient, reliable, and flexible technology. We had just been waiting for the right motors and batteries to make it possible. Until recently a reasonably common belief was that electric transport of commercial goods was some far off concept. That transport trucks were too big, too heavy, and traveled too far. I saw this demonstrated last summer at an industry event. The presenter attested that electric freight transport was decades away and the only practical solution was direct combustion of natural gas or hydrogen. That narrative has changed rather quickly. 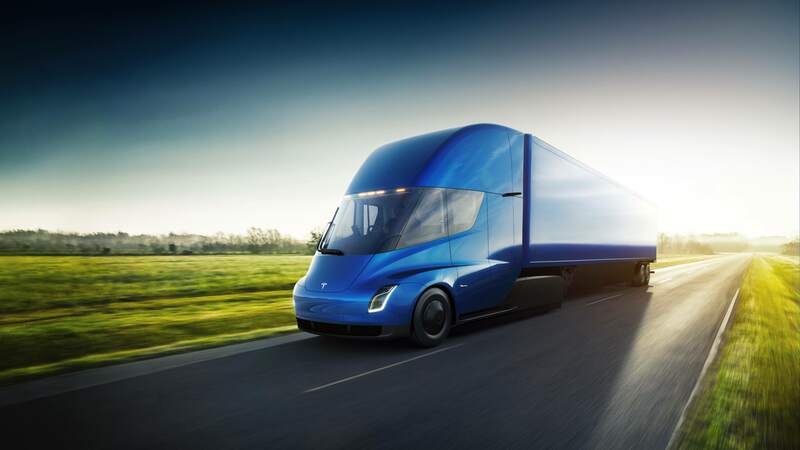 In the fall of 2017, Tesla unveiled their Semi, a $230,000 Class 8 truck capable of 500 miles and 80,000 lbs. The real kicker is that it exceeds the performance of diesel trucks and reduces operating costs by 20%. A shorter range 300-mile version for $190,000 was also announced with production targeted for 2019. Companies that rely on trucking took notice, with the likes of Pepsi, UPS, FedEx, Walmart, and many others placing hundreds of preorders. It’s a safe bet that many more will follow if those initial orders prove successful. Just this past month UPS wrote how their integrated charging system in London “..signals the beginning of the end of reliance upon traditional combustion engine powered vehicles.” That’s from a company that delivers nearly 5 billion items a year. While Tesla’s truck is currently the most ambitious, other manufacturers haven’t been sitting idle. Most companies are starting with smaller vehicles for short hauling within cities. Some other hybrid options do exist but the focus here is in on pure electric, as ultimately the preferred solution (versus the increased complexity and maintenance of hybrids). Daimler’s Fuso brand started delivering their eCanter truck this year, albeit in limited quantities (500 in the first two years). It only has a 62-mile range and a max load capacity of 3 tons. Their Mercedes brand has the eSprinter cargo van is coming later in 2018. 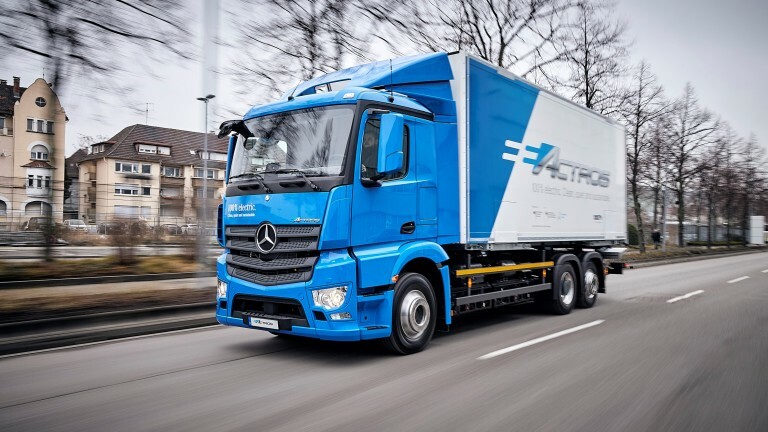 Future options with longer range and more capacity aren’t far away though, with their Mercedes eActros truck and E-Fuso Vision One. The eActros is marketed with a range of 125 miles and a max weight capacity of 26 tons (52,000 lbs). It’s already in pilot testing, with 2021 targeted for sales. The Vision One concept is a similar size but nearly double the range at 220 miles. There’s also electric vehicle giant BYD, which already sells a Class 8 electric truck with 90 miles of range. If you aren’t aware of them, BYD produces the most electric vehicles in the world, most of them as passenger vehicles in China. But they have a large lineup and a growing global reach. They even have an electric garbage truck, two of which were delivered to the city of Palo Alto for pilot testing. The CEO of Navistar issued his electric challenge early this year, declaring that by 2025 his company would have more electric trucks on the road than Tesla (Navistar has 11% of the Class 8 truck market and is partially owned by Volkswagen). Tesla’s approach to their Semi may have a competitive advantage. By using motors, inverters, and battery modules produced for their mass-market Model 3, the costs of their truck can be dramatically reduced. There are economies of scale in making millions of virtually identical parts and sharing them between their vehicles. It drives homes the point that electric motive power technology is even more general purpose than internal combustion. Public transit is undoubtedly a huge overall benefit to air quality in cities, but anyone that’s been spewed by the black smoke of a diesel bus or walked down the street partially holding their breathe may beg to differ. Diesel buses have to go. With constant start-stops and regular periods of idling, they are inherently inefficient (it actually might be the worst application for combustion engines, right after submarines I suppose, or space..). Diesel exhaust isn’t just annoying; it’s a serious hazard to human health. Electric drives, on the other hand, have regenerative braking and no direct emissions. They are efficient, clean, have drastically lower fuel costs, and require less maintenance. That’s why in my city, the Toronto Transit Commission announced their plans to buy 30 pure electric buses to add to their existing fleet of nearly 700 hybrid buses and 1300 combustion only buses. Los Angeles recently ordered 25 all-electric buses and declared their intent to make their fleet 100% electric by 2030. That’s great, but other parts of the world have us sorely beat. In China, the city of Shenzhen has already completed it’s conversion to fully electric buses, all 16,359 of them serving a city of nearly 12 million people. Check out the video of their fleet below. In the USA pure electric buses account for less than 1% of the public transit fleet, with only 300 out of a countrywide fleet of 70,000, according to BNEF. Hybrid buses in the USA look better, accounting for nearly 18% of the fleet according to the US DOE. Several major cities around the world have announced they will only purchase all-electric buses by 2025, but that seems like eight wasted years. Regardless, the choice will become ever more apparent as battery costs continue to fall cities need to cut operating costs while reducing air pollution. Before leaving the topic of buses. 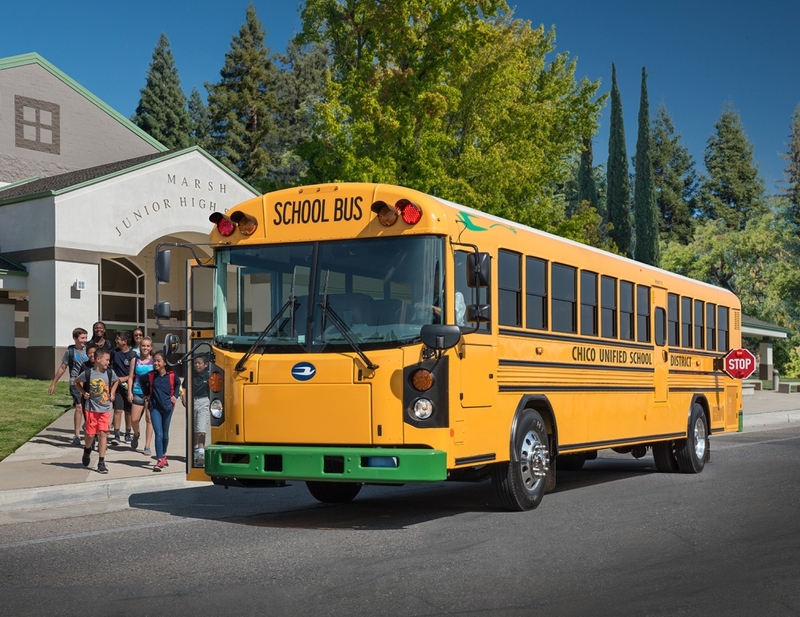 Blue Bird and Daimler even have electric school buses started deliveries this year. That’s a great application to allow kids learn about electric vehicles while reducing their exposure to diesel exhaust. Taxi’s and ‘shared’ transportation options are another important part of city transit. Shenzhen is again leading the way, looking to replace all of their combustion taxis by 2020. It may help that BYD’s headquarters are also located in Shenzhen. But even in London, the iconic black taxi’s are going electric. By 2021 London expects 9,000 to be on the road, roughly half their current fleet. 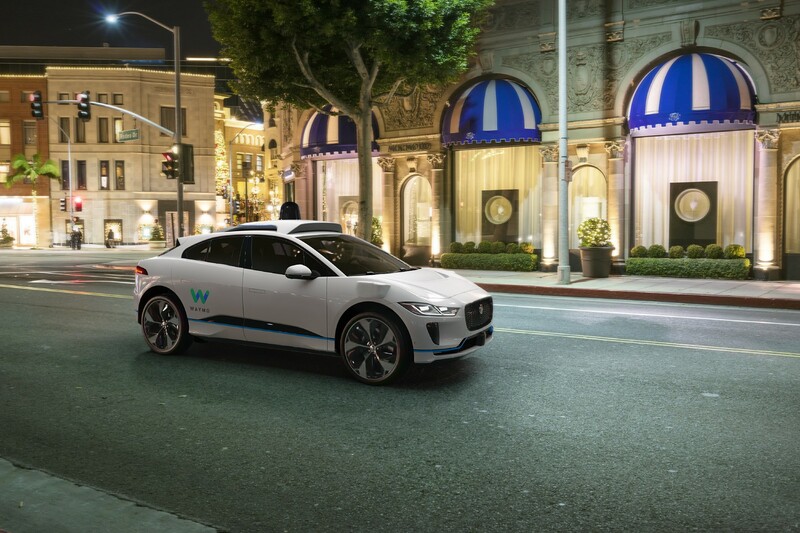 Then there’s Waymo (Google) which recently announced they are purchasing 20,000 Jaguar I-Pace electric cars to be part of their autonomous fleet. Waymo expects those vehicles can replace 1 million combustion vehicle trips per day. That’s something to take note of — that through shared mobility, relatively few electric cars can displace many more combustion vehicle trips. If none of that excites you, then here’s something. If Elon Musk has his way, there will be a radical new approach to public transit. It requires tunnels, but no tracks and no trains. Instead, by utilizing self-powered autonomous electric “skates,” the Boring Company wants to create a mass transit system that’s more accessible, requires less capital investment, and offers greater flexibility. Here’s a quick video of their vision for the future. Shipping over water is very efficient but also very dirty. About half of the world’s shipping fleet uses something called “bunker fuel” which is so viscous it often has to be heated to allow it to flow (in case you were wondering the other half of those ships use diesel). Bunker fuel is also extremely toxic in a spill and highly polluting when combusted. The particulates produced from ship-based combustion alone are estimated to be responsible for 60,000 deaths every year. Following a now familiar path, the first ships being electrified are for short-range applications. In 2013 the first electric ferry was brought into service in Norway, with spectacular results. The ship is called Ampere, and it reduced CO2 emissions by 95% and cut operating costs by 80%. That one vessel saves over 1 million litres of diesel a year. 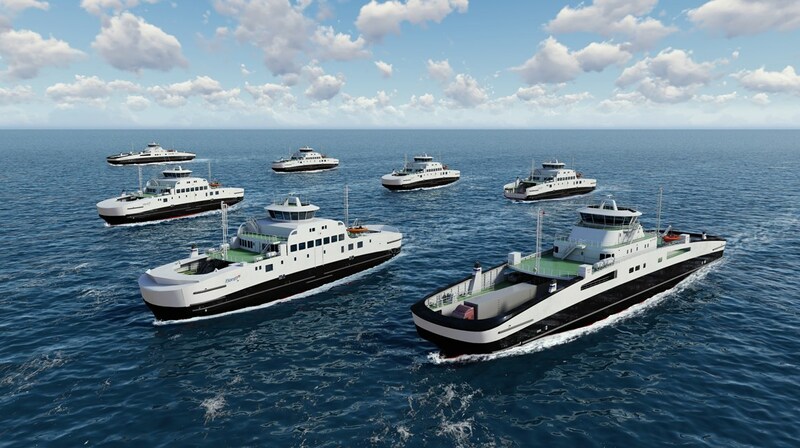 Its builder, Fjellstrand, now has orders for 53 more electric ferries. Another shipbuilder in Norway, Havyard Group, is also producing electric boats with a recently announced contract to provide 7 for operator Fjord 1. In Canada, our first fully electric ferries have just been ordered to serve on Lake Ontario. Electric ships aren’t just limited to ferries though. 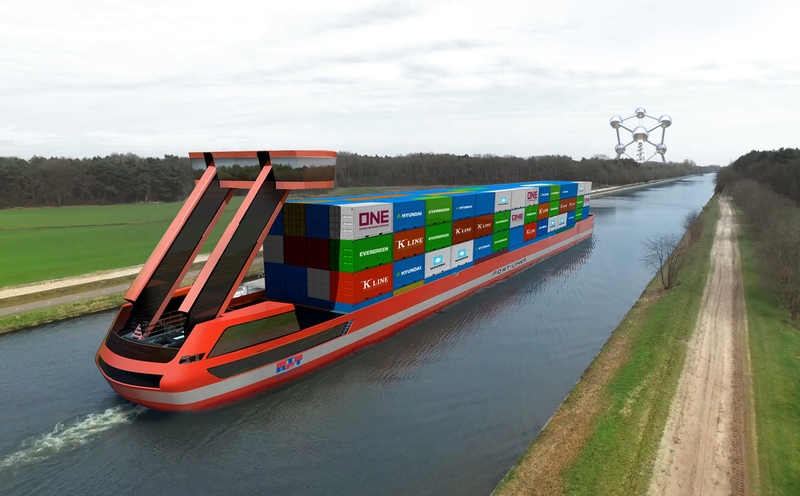 In August 2018 there will be five new autonomous electric barges operating on the inland waterways between the Netherlands and Belgium. They’re relatively small, only capable of carrying 24 20ft containers but six larger barges will follow later in the year. Those will carry 280 containers each and operate out of the ports of Amsterdam, Antwerp, and Rotterdam (pictured below). In China there’s even an electric barge transporting coal, of all things; it’s almost like there’s a fracture in the space-time continuum. It’s hard to imagine they’re doing it for environmental reasons, so the economics must be good. Using electricity instead of fossil fuels for transport will reduce pollution, which is true everywhere in North America and most of the rest of the world too. The environmental benefits are also improving every year (a previous post goes into this topic in some detail). Some of those improvements come from reducing the use of diesel and natural gas “peaking plants.” A “peaking plant” is one that can be quickly dispatched to meet demand when other sources of power are unable to respond quickly enough. Coal and nuclear, for example, are very slow to ramp up or down. Battery packs, on the other hand, can ramp even faster than diesel or natural gas and are great at frequency regulation. Storage also allows for more of our power to come from renewables like solar and wind. In the USA, Xcel Energy is planning their massive collection of battery projects, releasing bids in December 2017 for projects totaling 1,050 MW and 7,200 MWh. In California PG&E recently awarded 165MW of battery storage projects and Southern California Edison has a 100MW/400 MWh system awarded. It was only one year ago that California installed a 30MW/120MWh facility, the largest in the USA at that time. Things are moving quickly. For small and medium-sized projects there are now simply too many to note. 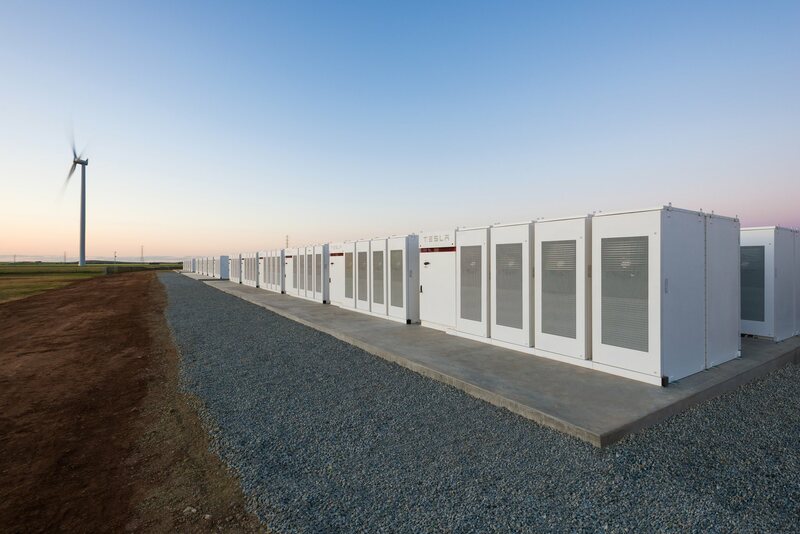 The point here is that the battery storage for utility power is growing rapidly. BNEF forecasts that the worldwide market will double six times by 2030 (60x was it is today). In the USA GTM forecasts an annual installation increase of 10x by 2022. That’s only five years from now! And it’s not surprising why. A report from the World Bank shows costs continue to reduce for Li-ion batteries on both utility-scale and residential installations, even relative to other storage technologies (graphs below). The solutions are also easily scalable, as seen by the residential and utility examples. These are the same batteries as those going into electric cars, trucks, buses, and ships. Further lending to the arguments of economies of scale and the ubiquity of the technology to serve our needs. Motorcycles shouldn’t be left out of this discussion. Why? Because there are approximately 200 million of them globally and they emit more pollution per mile than a car (~10x more in fact). Thankfully electric options are here too. There’s Vespa, which has their first electric moped coming out in 2018 and Zero, which produces only pure electric motorbikes. Harley Davidson is even developing one under the name Project Livewire (it’s gorgeous). There are also hundreds of companies producing electric scooters, a transport solution which is common in many parts of the world. A colleague recently told me how impressed he was with the battery swapping programs for scooters in Indonesia, for example. And at the risk of lumping in lawn mowers with motorcycles, even traditionally gas-powered devices like lawn mowers, weed eaters, and snow blowers are rapidly switching to electric. It’s going to be a long time before pure electric intercontinental flights are operating (energy density is the main problem), but smaller airplanes and hybrids are being developed right now. It’s not just by NASA and a few startups either. Boeing and Airbus both have programs underway. Airbus has partnered with Siemens and Rolls Royce to develop the E-Fan X pictured below. It’s a hybrid-electric demonstrator aircraft with test flights planned for 2020. Boeing is working with Zunum Aero out of Seattle, developing a hybrid passenger plane. Zunum hopes to be selling their 12 seat hybrid aircraft by 2022. The design uses two electric motors, which are fed by a battery, which is in turn charged by a jet fuel burning generator, leading to greater overall efficiency. Electrically propelled aircraft also open up some interesting possibilities in design, such as fan arrays and vertical takeoffs. Airlines are also looking to electrified planes to reduce costs and emissions. EasyJet announced plans last year to develop a hybrid hydrogen aircraft with their partner Wright Electric. Founded by engineers from NASA, Boeing, and Cessna, Wright already has a two-seater prototype. There’s also the big announcement by Norway’s public air transport operator, Avinor, which earlier this year declared their intention for all short-haul flights to be pure electric by 2040. All the indicators are there. Electric motors and batteries are proliferating throughout our society. It’s quickly becoming our new go-to “general purpose technology.” It simply has too many benefits and yet much innovation ahead. This is all to our benefit. Technological revolutions are required to keep our civilization moving forward; it’s one of the ways new jobs are created. But perhaps even more importantly, electrification brings greater efficiency and reduced pollution (yes CO2 is a pollutant when in sufficient quantities that would render life on this planet inhospitable). That last part is important because if we don’t make changes to these industries now, we won’t have much of a civilization left to worry about. Personally, I’m encouraged by the progress being made. I attended a Q&A session for a program funding low carbon solutions. Several separate groups asked about funding for electric freight, electric ferries, electric buses, electric commercial car fleets, and battery storage. Obviously, interest has really taken off. A year ago people were barely convinced about electric cars and now, as important as they are, electrification isn’t just about passenger cars anymore.